Can you answer questions a Spring TX furnace repair company asks about your heater? The first thing homeowners do when their heating system breaks down is getting online to look for help. Once they find a suitable heating company, they then make a call to get help for their problem. The heating repair professional asks several questions to make an initial assessment. Many homeowners are unable to respond to most questions about their heating systems. 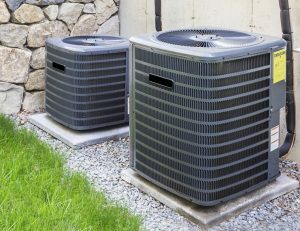 What exactly should you know about your HVAC system? Homeowners have a lot of things they need to keep in mind related to running their households. It is crucial to understand how heating and air conditioning systems work. The system enables internal temperature control, affects energy consumption, and your power bills. For something that has such a huge impact in your home, you must know the basics about it. Do not wait for your furnace to give in to call heating contractors. Houston Admiral delivers reliable heating repair, replacement, and maintenance services. Reach them on the phone at 281-876-9400. Visit https://goadmiral.com for more about their heating system services. The first essential thing you need to understand is that there are different types of HVAC systems. Do you have a forced-air furnace, a ductless heater, or a hybrid system? Is your furnace gas, propane, or oil powered? There is so much that you should understand about your home heating system. The heating system you have at home affects many of its maintenance and repair decisions. It also plays a crucial role when shopping for replacement components or a new furnace. It is also essential to learn about the main parts of a heating system. The typical furnace features a thermostat, air filters, evaporator coil, blower, and ductworks. The heater houses several of these components, and it is where the actual heating occurs. The heater encases the filters, evaporator coil, and blower in most furnace models. The thermostat acts as the heater’s control panel and temperature adjusting support. The ducting system supplies cold air for warming to the heater. A separate network of ducting delivers warm air from the furnace throughout the home. Heat registers and vents distribute the heated air evenly throughout the home. Most homeowners do not know what type of heating system they have at home. You may not be able to figure it out by looking at your furnace and its components. Find out what heating system you have with the help of heating contractors in Spring, TX. Houston Admiral can help with heating system assessment checks. Reach the heating company on the phone at 281-876-9400. Also, you can contact the furnace repairs company through https://goadmiral.com. 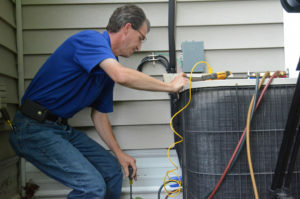 The need for heating maintenance services is easier once you know the type of HVAC system you have. Heating and cooling systems come with their individual sets of requirements. Handling a furnace properly enhances its efficiency and reduces its running costs. Cleaning the furnace filters is the most addressed maintenance aspect. The filters play a significant role in trapping debris and dirt. Their function prevents the impurities from getting released into your home. Replacing filters solves heat distribution issues for HVAC in Spring, Texas. Inspect all components of the heating system including those placed outside the house. Clean the outside parts and check for wear and tear. The outside placement exposes them to weather and other harsh elements. Address corrosions and leaks to keep your furnace functioning as it should. Keep an eye on the heater for any peculiarities. It should not produce noises that are louder than usual. If you get a whiff of gas smells around it, turn it off and call in a heating professional. Do not forget about the ductworks and performs checks for leaks. Ducting can wear over time and also need insulation upgrades. Most of these maintenance needs are things that need a heating expert’s help. Houston Admiral offers furnace repair and maintenance services. Contact them through https://goadmiral.com or call them on the phone at 281-876-9400. If the furnace does not produce enough heat, it indicates that it has a heat distribution problem. Sometimes the heater may fail to generate heat entirely. Forgetting to turn on the heater switch affects its ability to power on. Tripped circuit breakers and thermostat issues can also cause the problem. If every component of the heating system works, but you do not get adequate heat, it could be a ducting issue. The ductworks can develop leaks with time leading to heat loss. You should also know when your heater needs repair, maintenance or replacement services. It takes a combination of keeping an eye on your system as outlined above and having a heating company on call. Sometimes furnace breakdowns catch you off guard. It often happens when you least expect it and when you need your heater running most. It can be a daunting process searching for an emergency repairs heating company. Houston Admiral is a family-run and dependable heating systems repairs and maintenance company. They also provide heating replacement and maintenance services. The company specializes in the RUUD heating and cooling brand. Their services are available 24-hours, seven days every week. Reach them through https://goadmiral.com or get them on the phone at 281-876-9400. Houston Admiral is the best Spring TX furnace repair company. The estimated number of people living in the Spring, TX area is 56,369 people. Old Town Spring, TX hosted the Orcuquiza Indians in the past. It is now a must-visit shopping destination in the city. The Spring area got its name from the lovely spring season it experiences. Railroad workers who were laying rail tracks to Houston made a stop in the area during spring. They dubbed it Camp Spring, and I. & G.N. platted it in 1873.